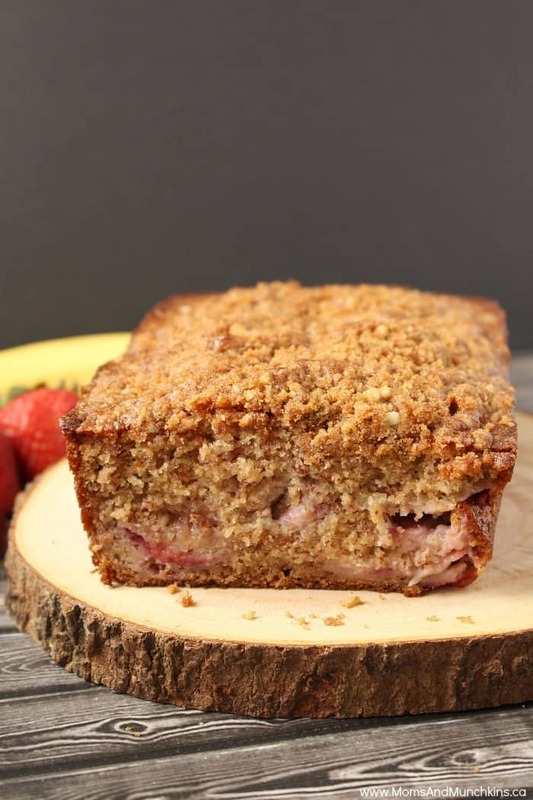 The crumble topping on this Strawberry Banana Bread is optional but I’d highly recommend it. This recipe makes two loaves. Beat butter and sugar at medium speed until light and fluffy. Add eggs and vanilla and beat until well mixed. Add mashed banana and strawberry jam and beat until well mixed (about 30 seconds). In a separate bowl, combine flour, baking soda, baking powder and salt. Alternate adding the flour mixture and milk to the banana mixture. Beat until well mixed. 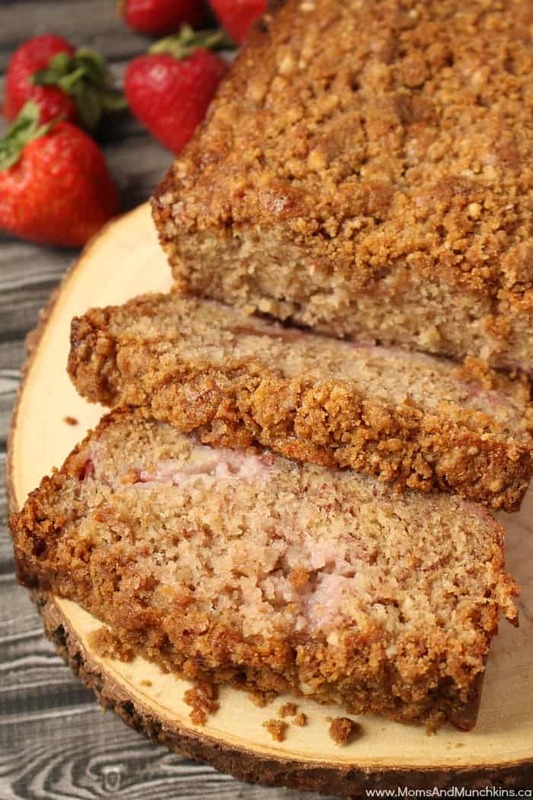 Pour batter into loaf pans. 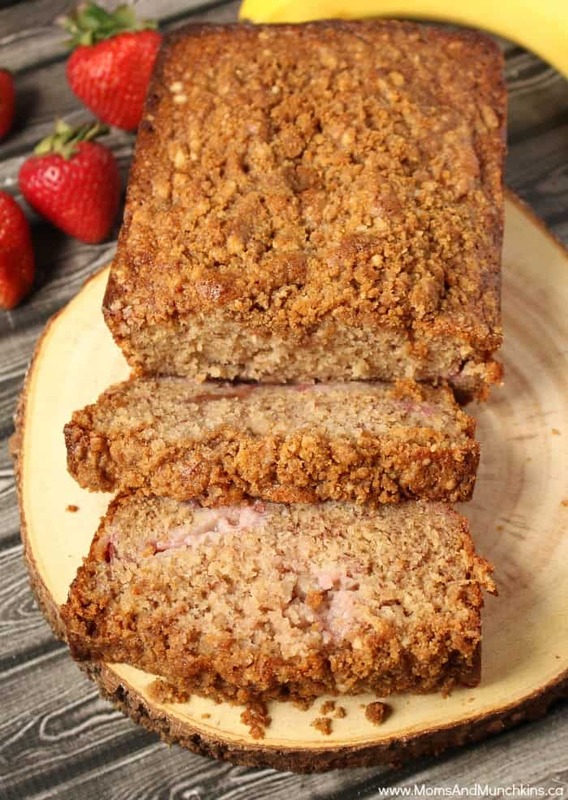 For the topping, mix all four ingredients together then sprinkle over banana bread batter before baking. Bake for 50-60 minutes or until toothpick inserted in the middle comes out clean. 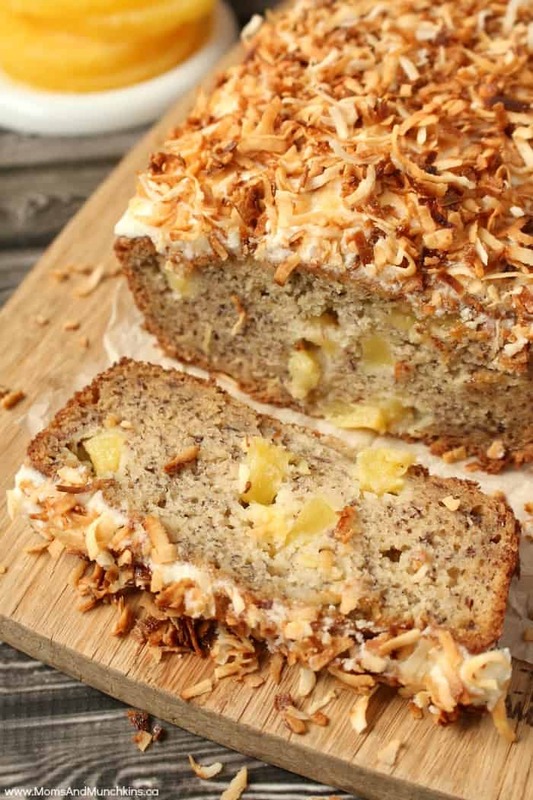 For another delicious banana bread treat, check out this Tropical Banana Bread with pineapples and toasted coconut! 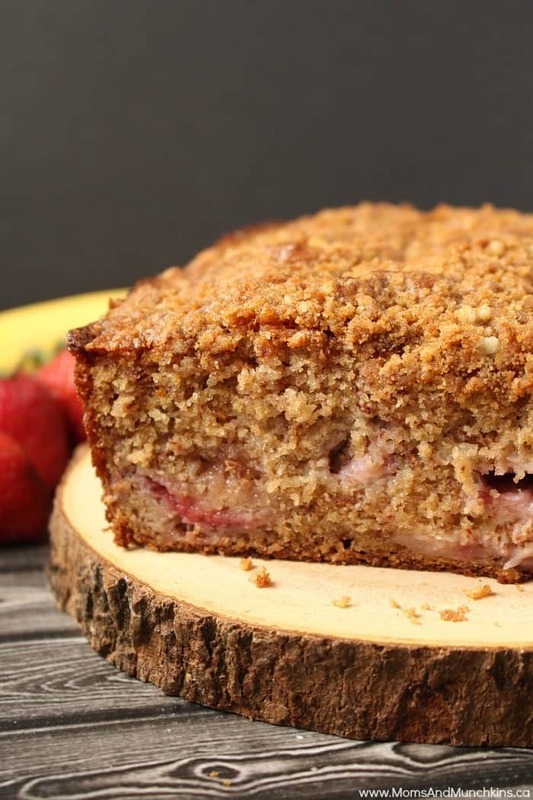 Visit our Recipes page for even more delicious ideas. Stay updated on the latest by following us on Facebook, Instagram, Pinterest and Twitter.